Warm, muggy southerlies today, hardly the sort of day to be looking for Arctic geese but a quick check of Turner's Falls found the first Cackling Goose of the autumn season loafing on the power canal with a mere 70 Canada Geese. 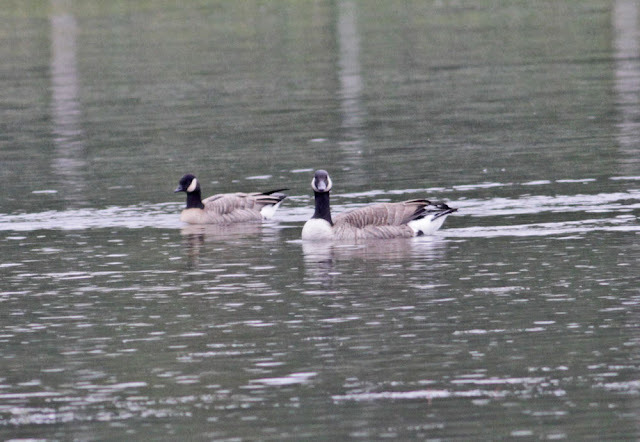 This is the earliest Cackling Goose I've found locally, though I have suspected late September birds before, usually fly-overs with Canada Geese. 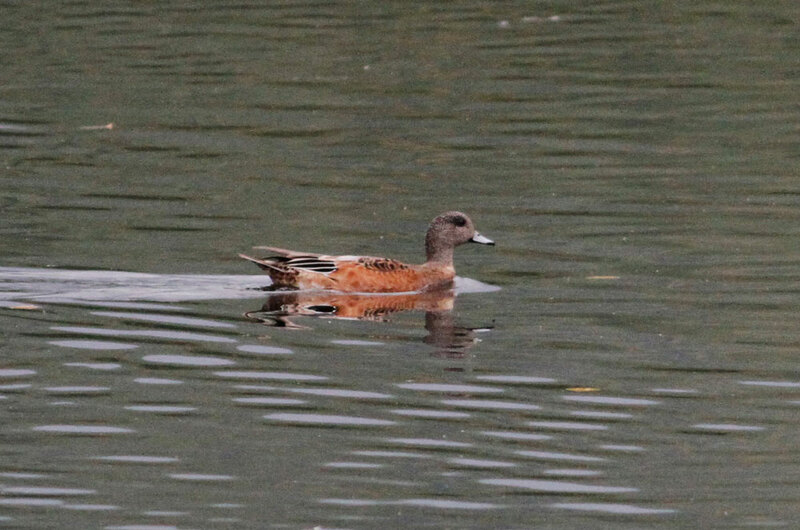 The waterfowl numbers were small but diverse at Turner's Falls this afternoon with 2 Hooded Mergansers and a Green-winged Teal at the power canal and an American Wigeon and the long staying Gadwall above the dam at Unity Park. Forecast calls for rain, temperature drop and winds from the northern quarter in the next couple of days...could bring some interesting changes....let's see what happens. 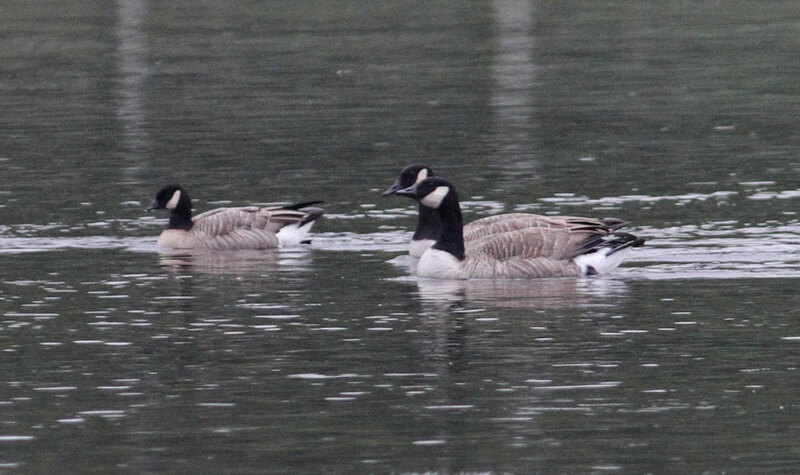 Cackling Goose (left) - Turner's Falls power canal, Franklin Co., MA. September 29th, 2015. Cackling Goose (raised wings) - Turner's Falls power canal, Franklin Co., MA. September 29th, 2015. 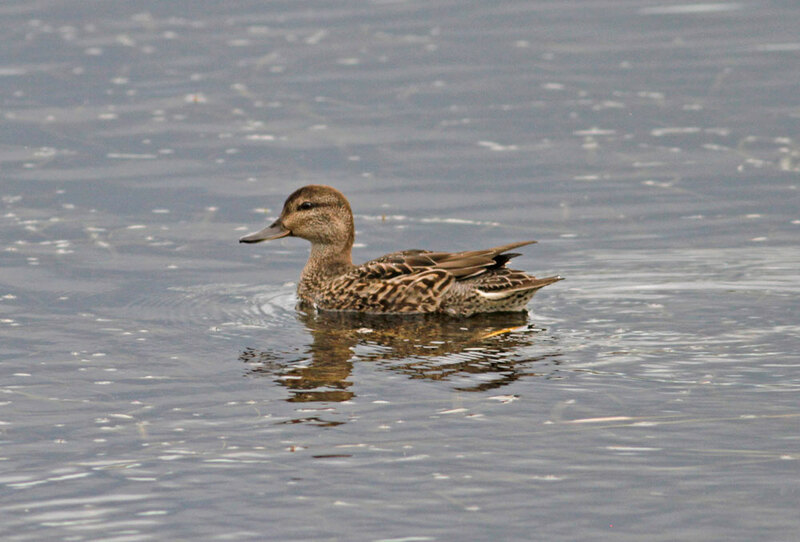 Gadwall - Unity Park, Turner's Falls, Franklin Co., MA. September 29th, 2015. 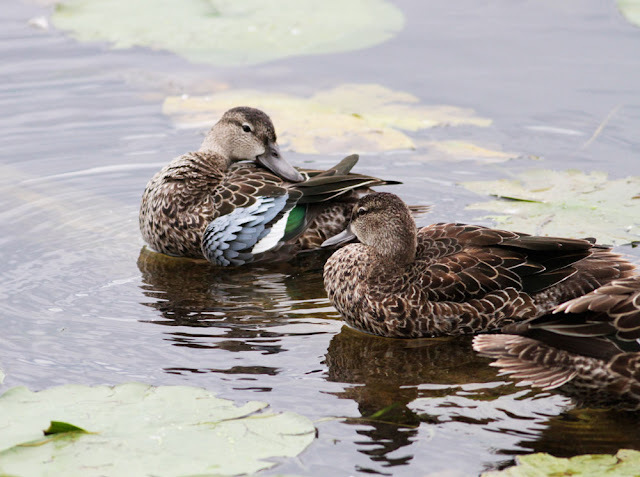 Green-winged Teal - Turner's Falls power canal, Franklin Co., MA. September 29th, 2015. American Wigeon - Unity Park, Turner's Falls, Franklin Co., MA. September 29th, 2015. Some welcome rain brought slightly cooler temperatures today but it still felt very muggy to me. I had a quick cruise around some of the fields in Gill this morning but found little of interest except a couple of Bobolinks off Boyle Road. Little seemed to have changed at Barton Cove as well, that's until I bumped in Josh Rose at Unity Park in Turner's Falls. 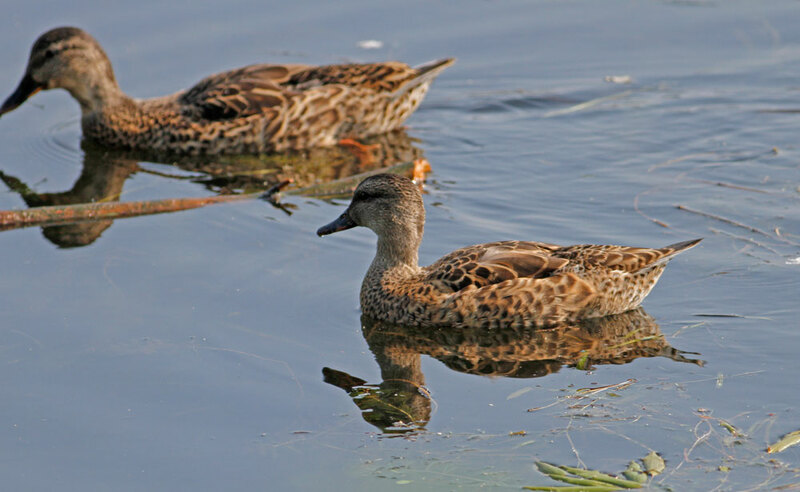 Again, the motley Mallard flock drew in yet another species of dabbling duck - four Blue-winged Teal. 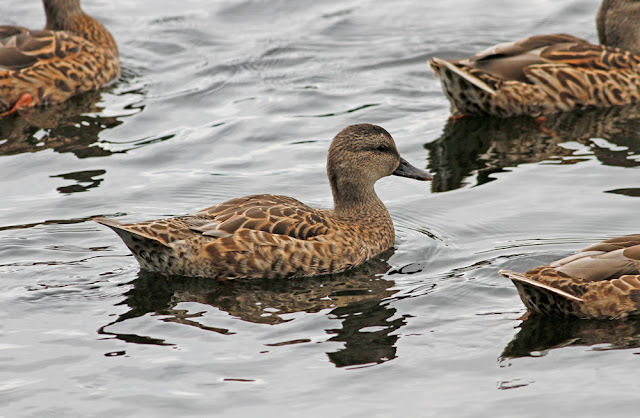 Unlike last week's Green-winged Teal, these birds didn't mind being watched at close quarters and hung around until Josh and I left at about 09:45 hrs. 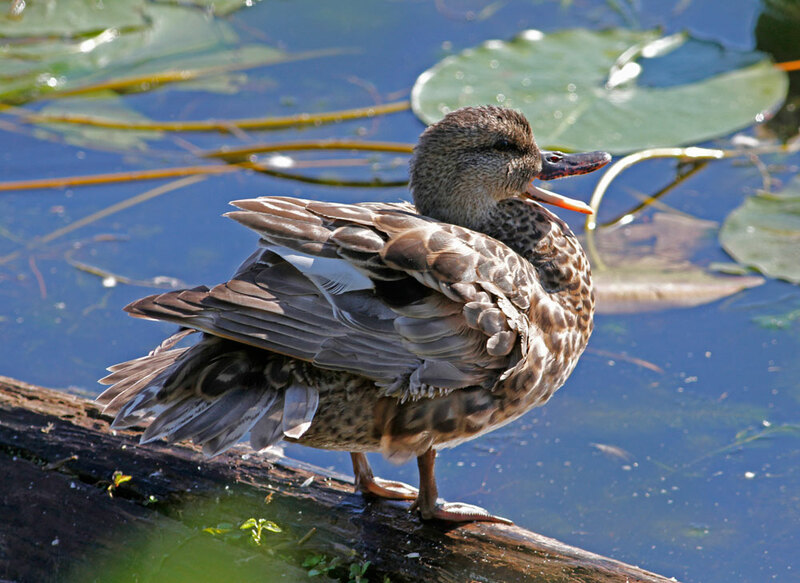 The molting drake Gadwall continued, now present for about a month at Unity Park. 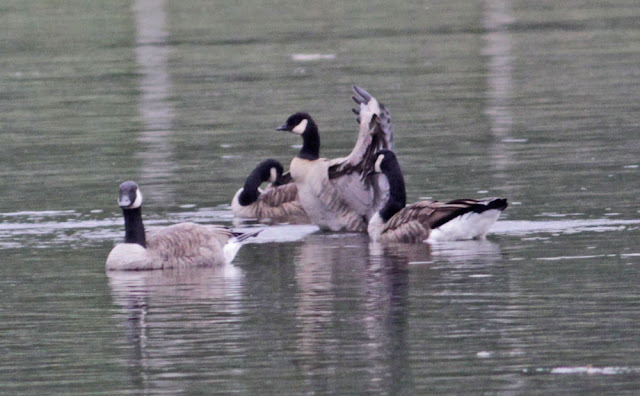 Other than that, a Pied-billed Grebe off Riverview Drive and the continuing, summering Great Black-backed Gull. 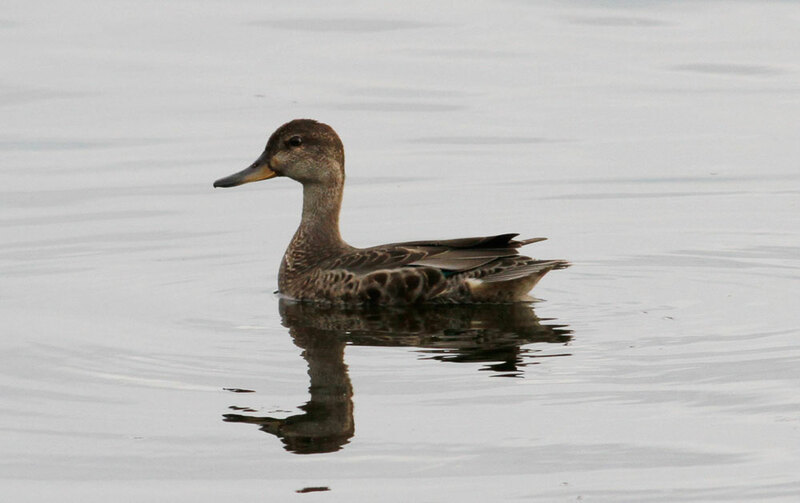 But, Blue-winged Teal was the bird of the day.....no doubt about that one. 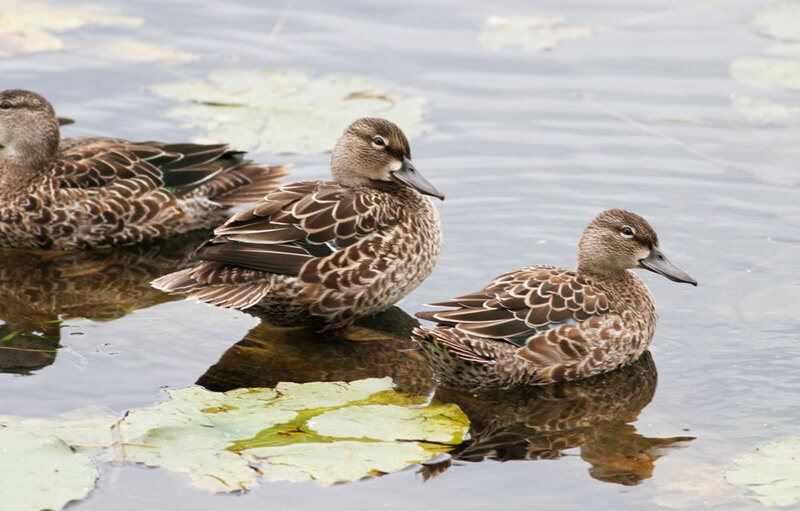 Blue-winged Teals - four today on the CT river at Unity Park, Turner's Falls, Franklin Co., MA. September 10th, 2015. 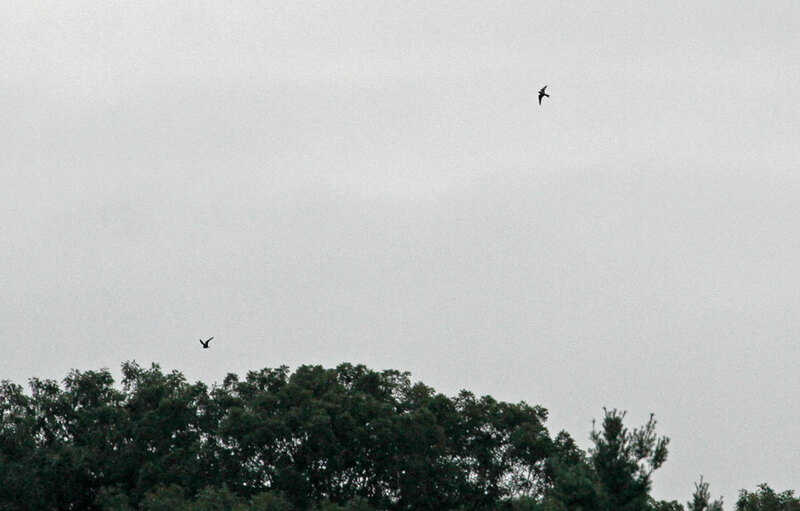 Common Nighthawks - two distant birds heading east, Barton Cove boat ramp, Gill, Franklin Co., MA. Gadwall - continuing molting male, Unity Park, Turner's Falls, Franklin Co., MA. September 10th, 2015. 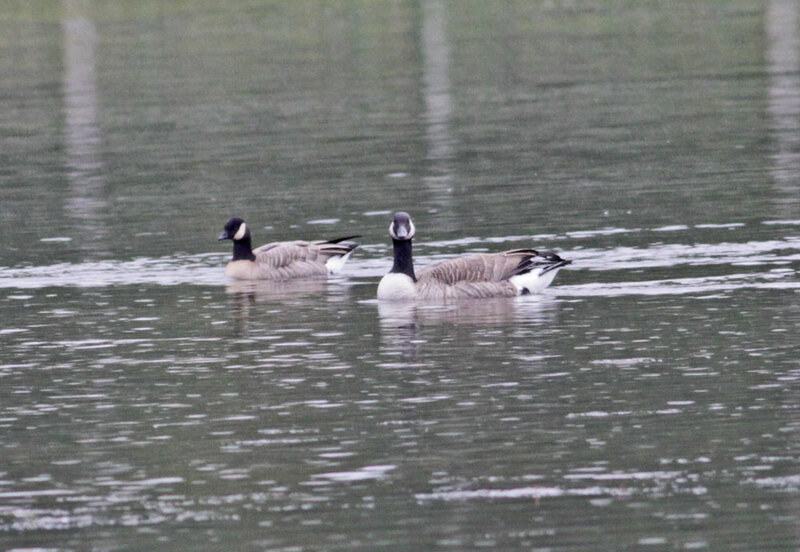 Later in the day, a quick check of Unity Park on a rainy, gloomy evening found the four Blue-winged Teal still present and Eric Huston scoping them out! Eric had mentioned seeing a fairly late nighthawk. Luckily for me, a quick stop at Barton Cove boat ramp found two Common Nighthawks heading east through the gloom at speed. It's getting quite late to see nighthawks locally though I think we still have a chance of seeing some stragglers through to the end of the month. The heat of mid-summer is still very much with us in the Pioneer Valley and with this afternoon's temps hitting 90 degrees in Gill, it really doesn't feel very autumnal at the moment. My blog posts have been sadly neglected over the last few weeks but a few things have caught my eye especially at Turner's Falls where the 'motley' molting Mallards at Unity Park have drawn in three other species of dabbler duck including a summering drake Gadwall (throughout August) and a molting drake Green-winged Teal on the 4th. Gadwall - male non-breeding plumage, Unity Park, Turner's Falls, Franklin Co., MA. August 13th, 2015. 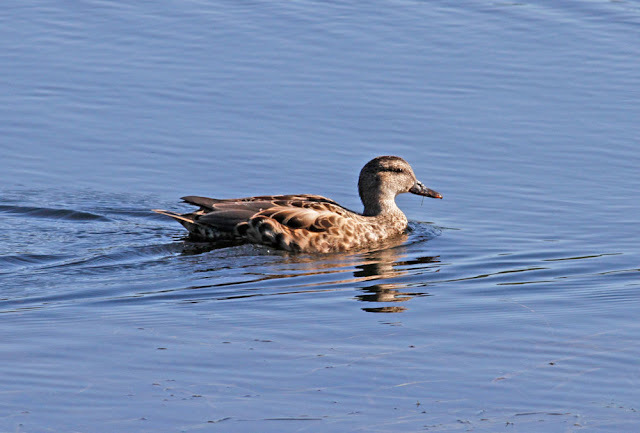 Gadwall - male non-breeding plumage, Unity Park, Turner's Falls, Franklin Co., MA. August 31st, 2015. Same as above, seen here with female Mallard. Gadwall - male non-breeding plumage, Unity Park, Turner's Falls, Franklin Co., MA. September 8, 2015. 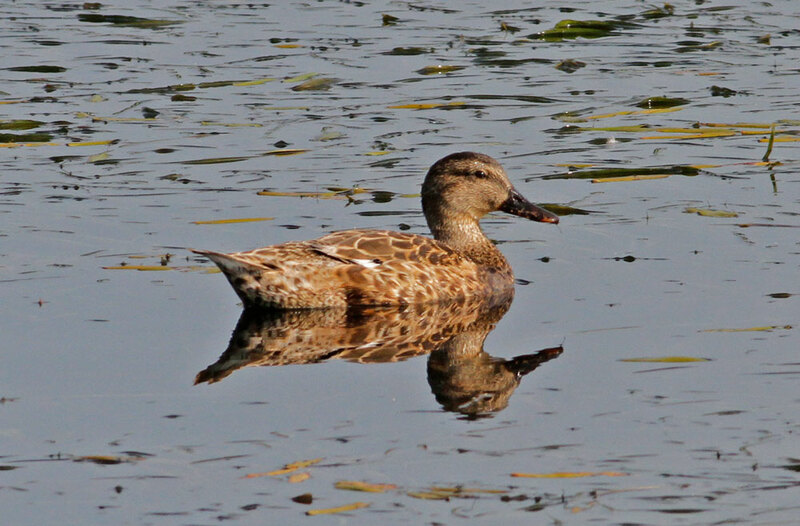 Same as above, breast darkening and contrasting more with gray face. White secondaries showing here. 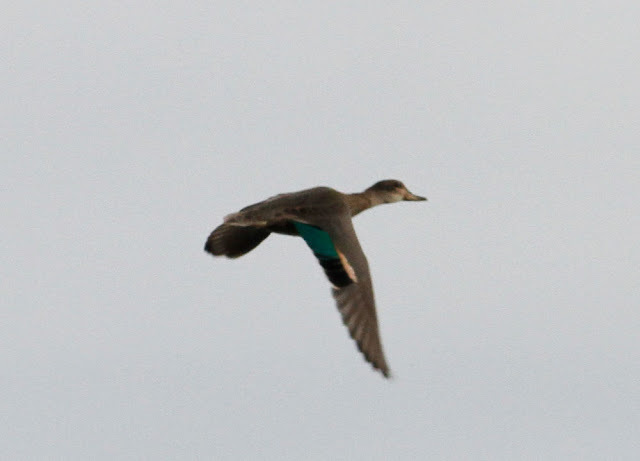 Green-winged Teal - male non-breeding plumage, Unity Park, Turner's Falls, Franklin Co., MA. September 4th, 2015. American Black Duck - male, Unity Park, Turner's Falls, Franklin Co., MA. September 4th, 2015. 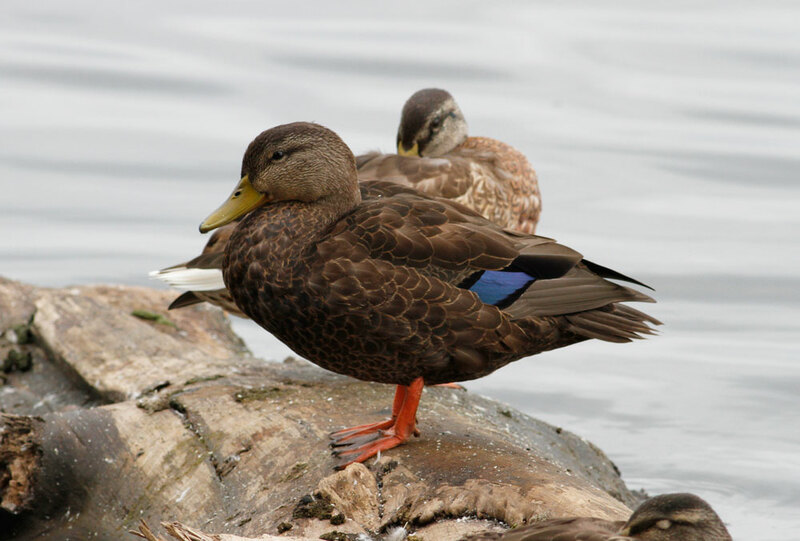 Beautiful male hanging out with the local Mallards. Fish Crows continued to impress (me at least) with several noisy family groups in Turner's Falls including Unity Park and at Avenue A near the Cumberland Farms gas station. Although most bird song tapered in August, vireos continue to be quite vocal with a Yellow-throated Vireo singing at the rail yard in East Deerfield on Sep 1st and wide scatter of Warbling Vireos still singing in Gill and Turner's Falls through to Sep 8th. 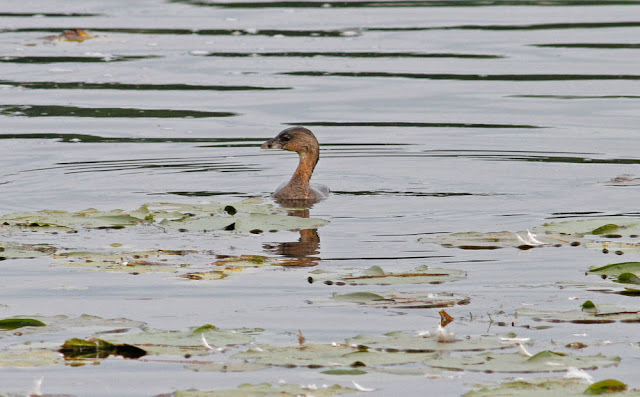 I had my first Pied-billed Grebe of the fall at Turner's Falls power canal on Sep 1st with another at Unity Park on Sep 4th. Pied-billed Grebe - Unity Park, Turner's Falls, Franklin Co., MA. September 4th, 2015. And for the second summer in succession, a Great Black-backed Gull, perhaps a failed breeder, has summered at Turner's Falls, often the only gull present. 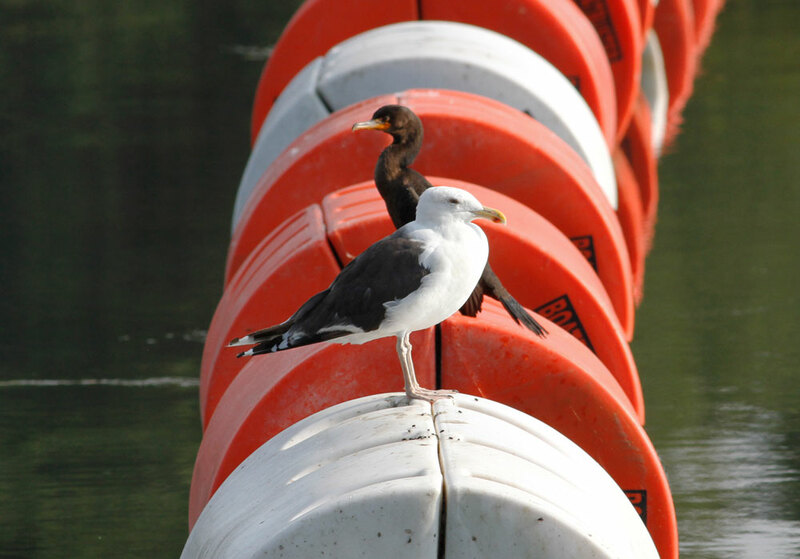 Great Black-backed Gull - Unity Park, Turner's Falls, Franklin Co., MA. September 8, 2015. Present throughout August into September. 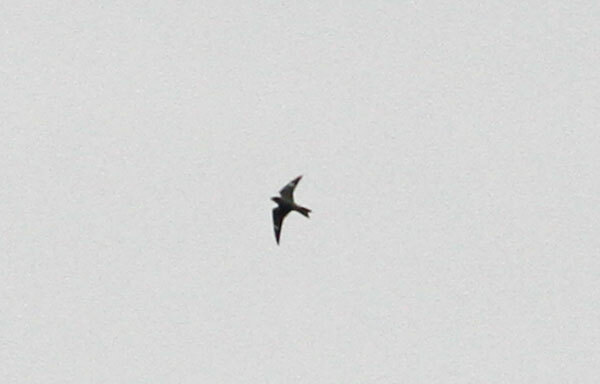 Almost certainly a returning 'summering' bird from 2014.